Sometime after the HCT Playoffs are complete, there will be a balance update rolled out for Hearthstone, focused on The Witchwood. We’ll highlight a few of the cards changed, but the full notes can be found in the link below. 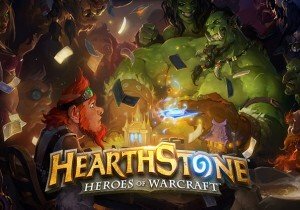 In 9.1, an update to the game mechanics of Hearthstone was released, to create more consistency. The change affected when Naga Sea Witch’s cost change was applied to cards, and as a result, it became much easier to reduce her cost to zero. With that in mind, the cost will be going up to 8 in this update. The concept for the card/deck will remain the same, but the combo will be delayed because of this change. The quest reward for The Caverns Below was also adjusted to read “For the rest of the game, your minions are 4/4 (down from 5/5). The Quest Rogue deck is very strong against slow/fatigue style decks but struggles elsewhere. This change will make it less powerful versus basically everything in the game, while still offering a reasonable amount of power. It should still stand up to slow, late-game decks, but offer a less polarizing matchup with the more moderate, control-oriented decks. These were the two most interesting card changes, to me, at least. There’s more below! Weekly Recap #310 April 20th - Warframe, Raziel, Kritika & More!